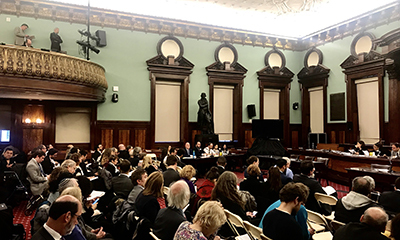 It was standing-room only for the hearing on a landmark retrofit bill introduced last week by Council Member Costa Constantinides. The bill, Intro. 1253, proposes new carbon emissions caps and energy performance requirements for the city’s large buildings, starting in 2022. The proposed legislation follows nearly a year of stakeholder engagement through the 80x50 Buildings Partnership and the release of Urban Green’s Blueprint for Efficiency. Read our blog to learn more about the bill, yesterday's hearing, and CEO John Mandyck's testimony. 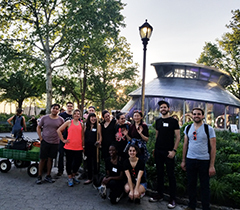 Urban Green members are invited to apply to serve on our 2019 Monthly Programs, Emerging Professionals, and Membership Committees, where you'll help brainstorm and plan Urban Green's groundbreaking events and programs. The deadline to submit your application is today. To learn more and apply, visit our website and select the committee(s) you're interested in joining. Need CE credits before the end of the year? 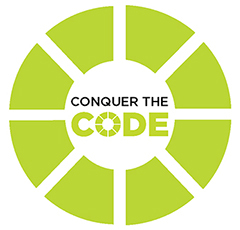 Conquering the Energy Code trains architects and engineers on the requirements of the NYS Energy Conservation Construction Code and helps them design more energy-efficient buildings in the process. The course qualifies for 7 AIA Health, Safety and Welfare learning units (HSW/LUs), 7 Green Building Certification Institute credits (GBCI), 7 Professional Development Hours (PDHs) and 7 Code Enforcement Official credits (CEO). Registration is now open for two Karpman Consulting intermediate training courses. Modeling 301 enhances attendees modeling skills beyond the beginner level and focuses on common air-side HVAC systems. Modeling 302 covers Water-Side HVAC systems.